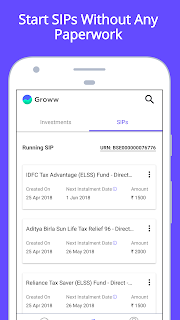 Groww App Review : Solution for all your financial growth. Finance or investment isn't something that is very well settled in our heads. However, last week while looking for investment apps, I explored Groww (groww.in). It is a one-stop platform for all your investment needs. And, as rightly put by Harsh Jain Co-founder & COO himself, Groww is an online investment platform for millennials. Groww is on a mission to empower a new generation of investors, giving everyone access to financial opportunity. With zero-commission mutual funds, investors not only invest for free but also get higher returns than other mediums like banks, agents or brokers. 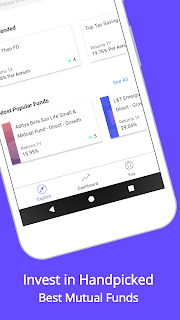 Groww helps the new generation invest their savings by making the mutual fund investment process simpler and easier for millennials or first-time users. We Millennials don't want to be stacked up with paperwork and look for hassle-free options in life. Groww understands our psyche and has built this platform taking into consideration our financial knowledge and investment needs. If you are someone who is looking out to invest but doesn't know where to start from, Groww is the go-to platform. And here is every reason for all whys! Getting started on Groww is simple. Investors sign up in-app or online and pick from a short list of investments curated. The Groww app helps guide investors from there, with data, support, and recommendations. Groww encourages investors to build good financial habits for life. These options are not only vast but perfectly suit your needs as well. It has the ability to help you meet your requirements. The very basis of the app resides in the fact that it simplifies investment for you with an easy to scroll and understand interface. You have a finance mindset or not, Groww helps you build one, and you can do so without any complications. The idea behind the app is to simplify investments and it does so by simplifying mutual funds investments knowledge and need of yours. You will be updated with current happenings of the finance world. For someone who is starting out, it is essential to know the basics and the ongoing value for that matter. Someone who isn't into finance wouldn't read about it but on the app, you can gain that knowledge. You will find pieces that are curated, and news that will help you move forward with your investment journey. Groww offers mutual funds from more than 34 AMCs - practically all mutual funds available in India. These mutual funds are ‘Direct’ - meaning there is no commission charged/paid to Groww. For an investor, this means getting higher returns than investing through banks, agents or brokers. You can control and monitor what you choose within the app. It is transparent and you can select investment plans basis that clarity. You see returns on mutual funds are chosen, you get a closer look and deeper understanding of various investment plans. And, it helps you to go through and decide as per your requirement. 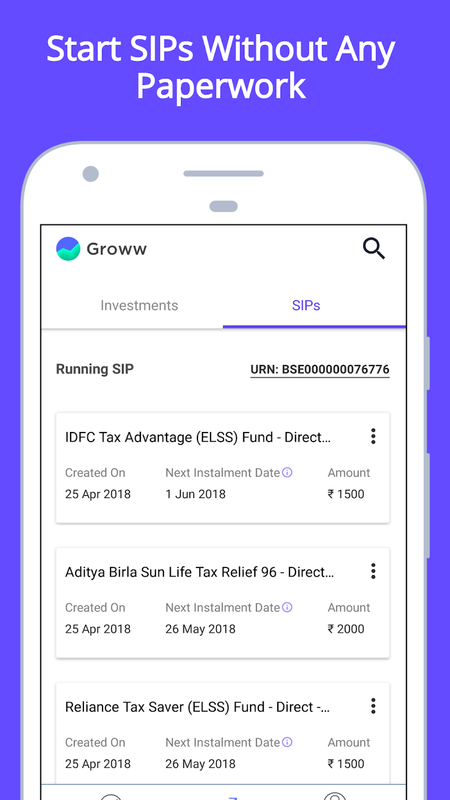 Groww has communities on Whatsapp and Xpert community within the app to help you understand investment market and scenario. Right from what’s happening in the financial space to asking reviews on your portfolio, you can ask questions on these communities and experts will guide you through your investment journey. FAQs are always easily answered and you can get first-hand information for almost everything you wish to know. Groww app is safe and secure to use. They use the BSE platform for all transactions. The journey is very smooth and transparent. I would like to clarify that all investments done on the platform is directed toward respective mutual fund companies. BSE awarded Groww for the "highest transaction in mutual funds" while mBillionth nominated them for "impacting mobile commerce in 2018". Business Today named Groww "Coolest startups of 2018," and Inc Magazine featured them among "Top 50 world-changing Startups". You really like the app. Download It from here. Google Play Store : Groww App.